I just got totally owned by my local Redbox. I thought I was beating the system by enjoying a new game at a fraction of the cost of buying it. 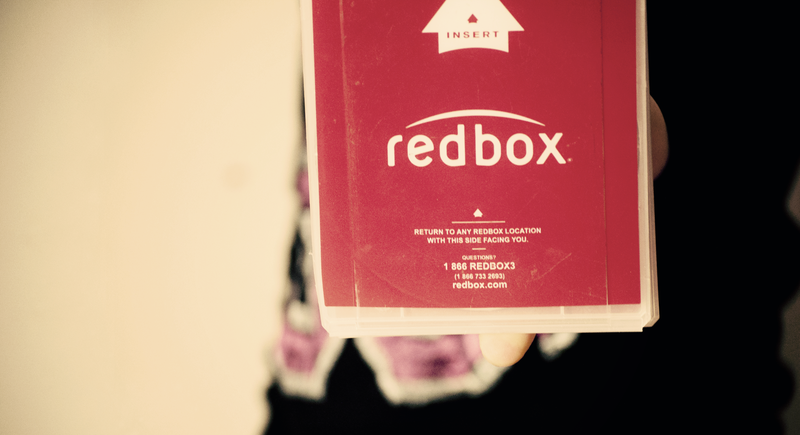 As it turns out, I’m a Redbox whale: one of those poor sops who’s helping prolong the company’s slow decline because I can’t keep track of time. The clock started ticking on a Saturday evening after work. My partner and I needed dinner but there was no dinner in the house. This somehow happens a lot, despite being a predictable event. And as often happens when we need dinner and there’s none to be found, we might have just ordered in. In addition to really needing dinner, I also really wanted to shoot some Nazis. I bought Super Mario Odyssey the day prior and couldn’t rationalize shelling out for Wolfenstein 2. Then I remembered Redbox. I might have passed on the game altogether if not for the convenience of being able to rent it 15 feet away from a $5 bag of frozen ravioli. I wasn’t leaving the house late on a Saturday night just to go get another new game, I was going to procure food for my loved one and me. I can be a high-quality person. And it worked! Dinner was delicious. Killing Nazis was glorious. For that weekend everything felt right. Then Monday came and I still hadn’t finished the game. Shooting Nazis is also hard, it turns out. I’d already paid for three days though, and figured I might as well pay for one more. Who would I be if I bid adieu to B.J. Blazkowicz before the war was won? And then one more day became two days, three days, until eventually I had kept the game for a week. In the beginning I felt guilty but I came up with ways to rationalize the delays. It’s an important game and one that deserves to be finished. Three dollars a day is just another cup of coffee. Whatever the new charge was, it still wasn’t as bad as another $60. And so the days kept going by. These guys will never be able to return their games to Redbox now. One morning I sat down and ran through the final sections of the game. That afternoon, frozen chocolate cream pie in hand, I strolled past the Redbox and felt a weight lift from my shoulders once Wolfenstein 2 was slipped safely inside. Redboxes don’t give you receipts when you return something. They simply start showing you all the other crap you could rent and never return instead. For a moment it worked, too, as I stood in front of the produce section transfixed by the brooding Call of Duty war man on the display. Later that night I actually saw the damage. “Got it! Here’s your final receipt!” the email read. I’d spent $50.88, just a few dollars shy of what the game now costs used at GameStop. First I was angry. Why didn’t I just keep the game? Then I was disappointed. Why had I waited so long? Finally, I was just ashamed. No one must ever know! It’s the equivalent of paying for Xbox Live Gold months after you disconnected your Xbox One because there was no more room for it on the TV stand. Or paying for Funimation’s streaming app even though you never use it simply because you want to keep the dream alive that you one day might. I thought I was the one using Redbox but here we are. At least the digital Nazis are dead.